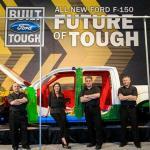 With the forthcoming launch of the 2015 Ford F-150, the collision repair industry has been hungry for information about what the future holds as the best-selling truck in America becomes the first aluminum-bodied vehicle in its class. While production models haven’t hit local dealers yet, curious SEMA Show attendees who want a first glimpse at the vehicle construction can gain hands-on access to the truck body at the Ford Customer Service Division Booth (#16021) in the Westgate Las Vegas Resort. The booth is conveniently located in the same hall as Show registration, and directly across the hallway from where Collision Industry Conference (CIC) meetings will be held on Thursday. Those who are looking to gain more information about the repairability to the vehicle, necessary tooling and equipment, and training options, will be able to catch free educational sessions individually hosted by the Society of Collision Repair Specialists (SCRS) and I-CAR® each day of the show. 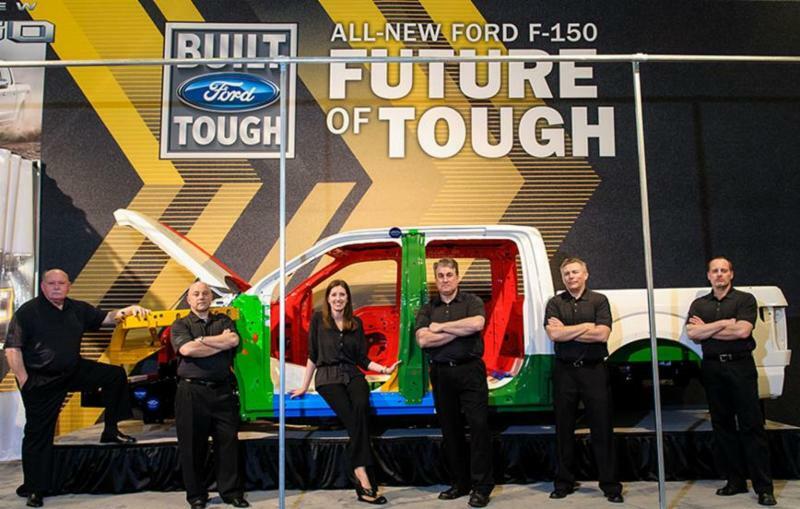 Both organizations will welcome members of the Ford Service Engineering team onto the Collision Repair & Refinish Stage in the North Hall of the Las Vegas Convention Center (LVCC), as they present on the 2015 Ford F-150 Collision Repair Program. More information can be found at www.semashow.com/education. The big-picture of aluminum repair is certainly much broader than any one manufacturer, and for those who are interested in turning it into a viable profit center it is important to understand the full landscape of options and obligations. On Tuesday afternoon from 12:30 – 2:30pm, one of the most popular new sessions in this year’s Repairer Driven Education (RDE) series will feature Larry Montanez of P&L Consultants presenting “Aluminum Repair Procedures, Techniques and Requirements.” Registration will be available onsite, but based on popularity of this course, pre-registration at www.semashow.com/scrs will be the only way to ensure your seat in the session. Thursday afternoon, from 3:00 – 5:00pm boast another highly relevant and popular selection while Tim Ronak of AkzoNobel presents “Getting Paid for Investing in Facility, Equipment and Training.” This in-depth session with explore the impact investment in training and equipment has on gross profit percentages, and identifies mechanisms to offset business costs to justify suitable returns on capital expenditures. On Friday from 10:00 – 10:45am, Ken Boylan with Chief Automotive Technologies will also provide another brief overview in his presentation of “Aluminum 2014 and Beyond.” All RDE sessions can be reviewed and registered for at www.semashow.com/scrs. Those looking for added assistance with their registration can contact customer service at 866-229-3687. 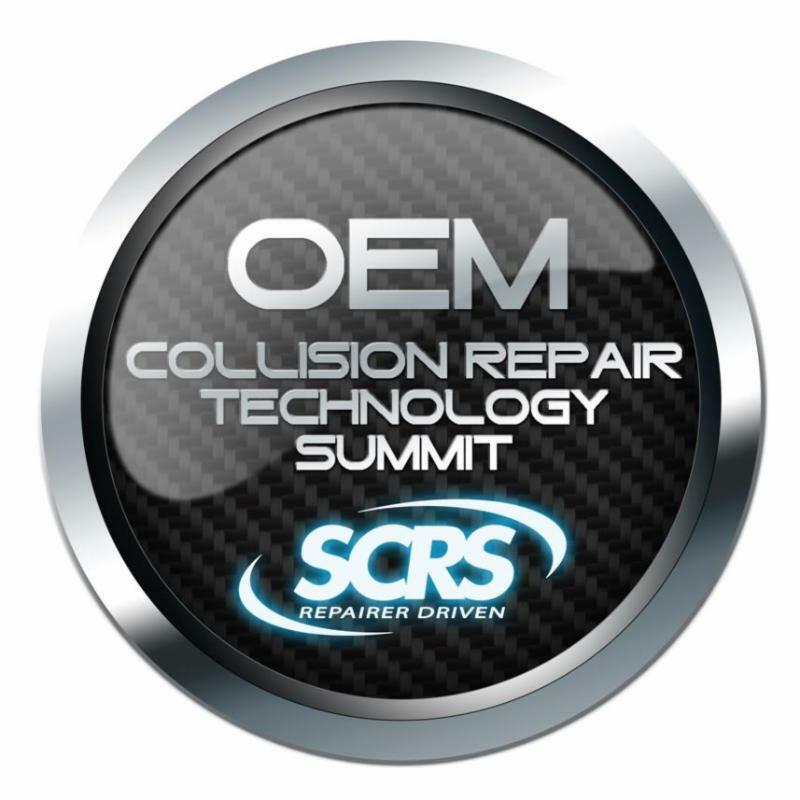 From 9:00am – 5:00pm on Wednesday, November 5th, SCRS will host the first-ever OEM Collision Repair Technology Summit in the upper level of the LVCC North Hall in rooms N231-N241, which will specifically explore how automotive design and technology intersect with repairability, and how developments in this area impact the collision repair process and the professional businesses planning for their future in the ever-changing landscape of this industry. Registration can be made at www.semashow.com/scrs. Continuing to address information that supports a better understanding of the role aluminum will play in the future; the first presenter on the agenda will be Doug Richman, Technical Committee Chairman of the Aluminum Association’s Transportation Group. Richman will deliver visibility into the technological advancements being made in the aluminum industry relative to the automotive market, and an overview of how their market is developing as a result of increased integration into the modern fleet. He will share reasons behind the automakers’ interest in, and use of, aluminum and what their industry is doing to aid in the development of that relationship. The Summit agenda will further feature prominent automakers such as Audi, BMW, Ford, GM, Mercedes, Toyota and Tesla; some speaking to the influence repairability and alternative materials have on their advanced structural designs, while others will give added insight into the growing networks of OEM certification programs. In the afternoon, the agenda will feature a broad array of certified collision repair centers that boast an impressive array of OEM recognitions and experience in transitioning necessary costs of performing OEM repairs into a sustainable return on an ever-evolving investment. This program is available to anyone interested in attending and pre-registration is encouraged to ensure a seat. Registration will be available onsite, pending availability. Repair businesses who are interested in winning these aluminum repair tools should come to SCRS’ booth #10849 in the Collision Repair & Refinish section of the North Hall for details to enter. There is no shortage of opportunity at the 2014 SEMA Show for those exploring the possibilities surrounding aluminum repair in the collision industry, and securing your spot as part of these highly sought-after opportunities is the first step to a successful future. Act now at www.semashow.com/scrs, #sema2014.